Summertime isn't quite over and I've got the perfect cocktail for you to celebrate with this weekend. 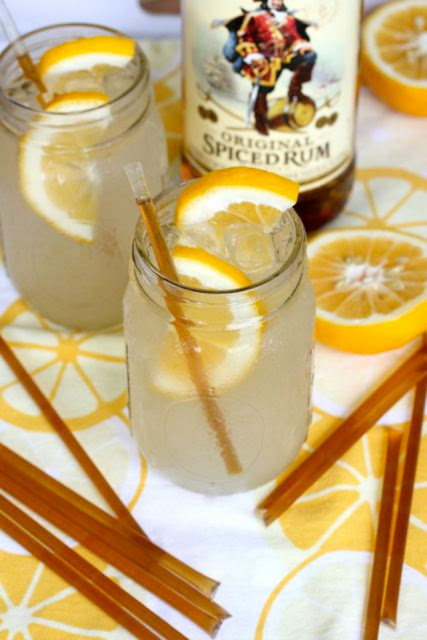 Lemonade is such a versatile mixer when it comes to summer drinks but this spiced rum combination is one of my favorites. And, if you've never experienced honey sticks, I highly recommend them for cocktails! They eliminate a lot of mess and add just the right touch of flavor. You can order Honeystix here and they come in a variety of flavors. They're also great in teas or to relieve sore throat. 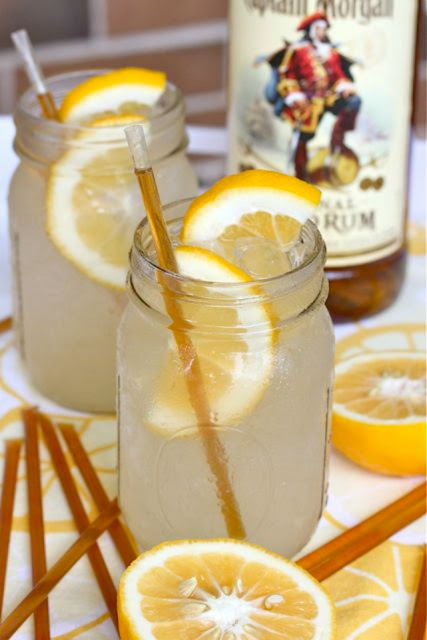 This honey lemonade cocktail makes a good transitional drink as we approach fall so keep this one around for a while. Cin cin y'all! Pour rum over ice. Then add lemonade and stir. Add honey stick and lemon slices and enjoy! *I received no compensation from Honeystix or Captain Morgan for this post. I just really love them both! Captain Morgan did kindly supply me with a variety of rums to sample this summer which create awesome cocktails to share with you! Yum! I might have to try this recipe this weekend. Yummmmm! My local honey booth at the farmers market does different flavored honey straws. I am obsessed with honey. This looks delicious! I'm going to have to make it before summer is over! Great blog btw, found you via Jessica over at Creative Index!